I'm reminiscing about our trip to the pumpkin farm last weekend. It was exactly the experience that I was hoping for the boys to have! I posted those photos here. How special is our time with friends! I need more playdates/ momdates in my life. We visited the Punxsutawney Weather Discovery Center, and our boys had a blast! Read more about that here. Yesterday, Astleigh and I hosted another Every Girl link-up, and we shared outfits that can easily be taken from DAY to DATE. Mine was a simple white blouse and jeans look that was taken up a notch with accessories. I loved the sweater dresses and leggings that my friends posted about! The link-up is here. Nolan had a lot of fun with his Candy Corn lesson! We painted with tempera paints and worked on some math activities with Candy Corn. He is a little sponge these days! This week, I had the chance to review the new NIV Bible for Teen Girls! NIV and Zondervan have a soft spot in my heart because my grandpa is a retired translator for NIV. When I was growing up, he and my grandma spent summers in Europe working with the rest of the committee on different books of the Bible. This particular version is really perfect for girls ages 13-18. It's designed to help teen girls with their walks with God--finding His will for all areas of their lives. There are so many topics relateable for that age: friends, school, work, sports, dating, loss. I would have LOVED a Bible like this when I was in high school. There are many, many daily readings and devos by Christian authors like Bethany Hamilton (Soul Surfer), Annie Downs, and Christine Caine. If you have a teen girl in your life, check out this version! Buy it here from Zondervan. (Or on Amazon in leather.) For a chance to win a copy, enter the Rafflecopter at the bottom of this post! It turns out that Nolan is a little wary of sticking his hand in the pumpkin and getting messy. Ephraim, however, could have dug out seeds all night! He was such a good little helper! 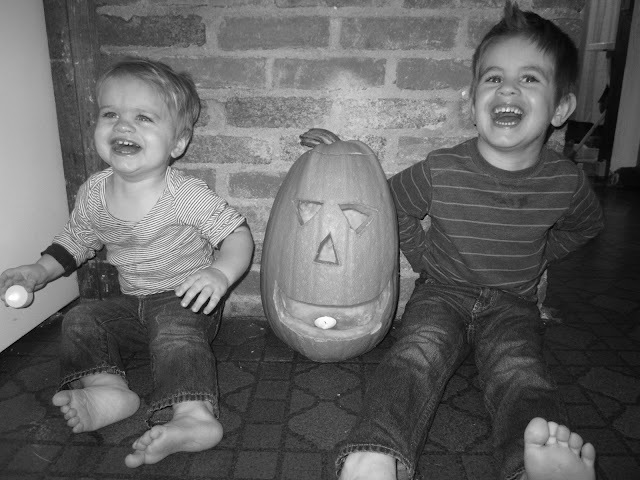 Daddy did most of the carving, and then the boys posed by their first Jack 'O Lantern! Man alive, Daddy can make these boys laugh! I hope ya'll have a wonderful Halloween weekend! We will be scrambling to get our costumes ready for tomorrow, and I'm so excited for fun with friends! Oh gosh Rachel, THANK YOU for this book recommendation!!! Even if I don't win I am getting this for my 14 year old. I have been looking for a new Bible/devotional for her, something she can relate! Thank you thank you!! I would love to win this for one of my nieces. They are 12 and 14! It would be a perfect gift. I'll probably buy 2 if I don't win anyways bc I love this idea for a Christmas presents!! 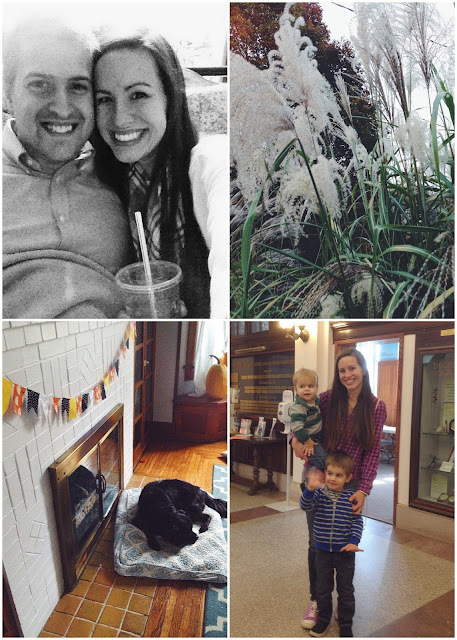 Great pics as always Rachel! Still impressed with you guys growing that pumpkin! !